Angry Birds is an updated textures are based on the popular game for mobile devices. 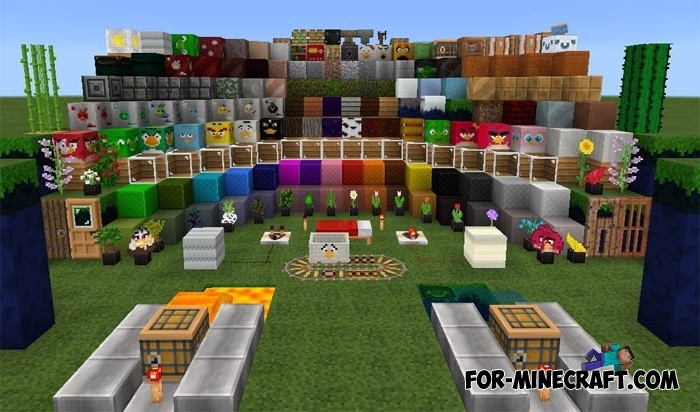 Many items, blocks, tools will have bright colors that we used to see in the game. Many mobs will change own skin, e.g. a cow will receive a yellow texture that will give it an unusual appearance. Traditional pigs in Minecraft Pocket Edition which we used to see in pink, become green with exactly same big eyes. Blocks and resources will have eyes, beaks and so on, that is each block will embody the a certain bird from the game. 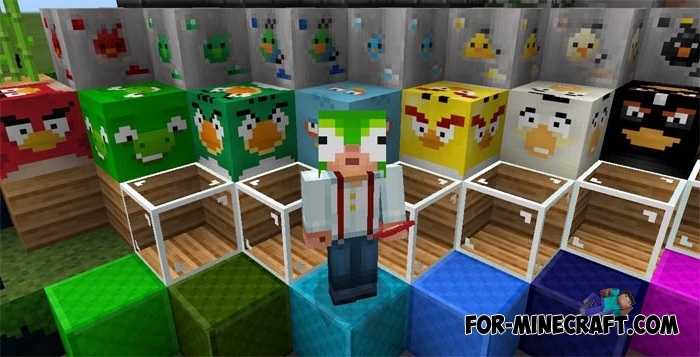 If you are a Minecraft PE and Angry Birds a fan at the same time then you are lucky enough! In the directory «games / com.mojang /» create a «resource packs» folder. Then extract the the archive and move this folder in «resource_packs». Go to MCPE settings and select your textures.